Friday 19th April, this is one you do not want to miss! 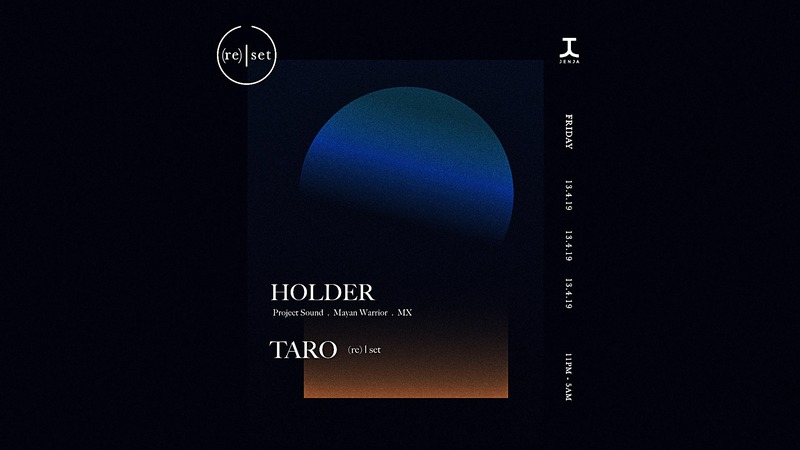 Holder is a shamelessly eclectic personality, gliding through dark grooves that are no doubt inspired by vibrations of his native Mexico City. His explorative sound dives into deep shades of house, comes full force with punchy tech beats and touches down on dubby techno pulses. Joining him, we’ve got special guest, TARO who’s been making some waves in Bali's underground scene since the early days.